OpenARK won a Gold Medal at 2018 China Internet+ Innvocation and Entrepreneurship Competition. HCII 2018: Usability evaluation for drone mission planning in virtual reality. IROS 2018: Modeling supervisor safe sets for improving collaboration in human-robot teams. CS 294-137: Introduction to Virtual Reality and Immersive Computing, Fall 2018. Citations of Robust Face Recognition via Sparse Representation exceed 8000 on Google, Top 100 Download on IEEE. 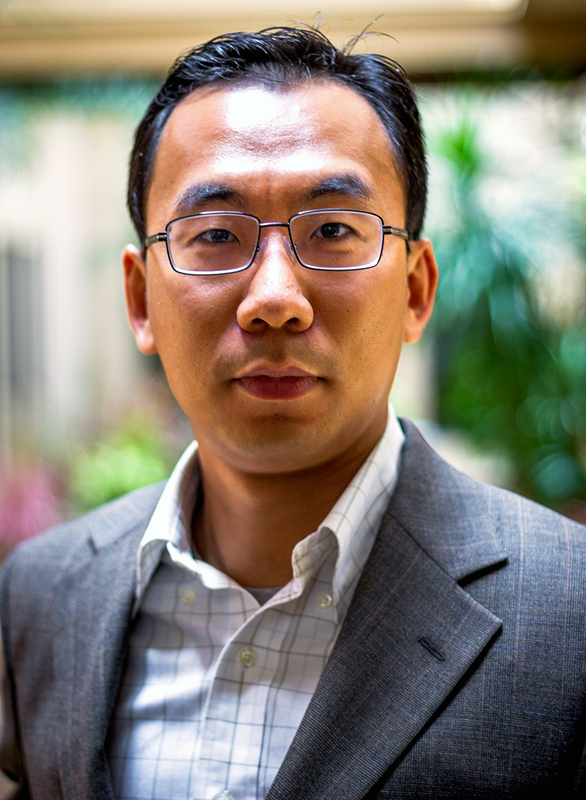 Drawing from my experience in both academia and entreprenurial careers, I am passionate about investigating disruptive new technologies in emerging AR, VR, and AI areas and their commercialization focusing on human-centric user experience design. Some core research topics include Localization and Mapping, Natural Human Interface, Pattern Recognition such as human and object modeling, and Embedded Computer Vision for Mobile Applications. At Silicon Valley, I have been involved with a series of startups at different capacities, including Atheer, Grafty, LUCI, Tron, and Pengram. One of my current projects is an open-source AR dev kit called OpenARK. I am excited to see its continuing penetration in the AR/VR market and establish broader alliances with major stakeholders. Virtual Reality at Berkeley is a student group dedicated to bringing virtual reality to the campus community. The club provides students with access to virtual reality and augmented reality equipment and training and charters project teams to explore the applications and implications of virtual reality and augmented reality in diverse fields through research and development. Human in the Loop Vehicle Interface and Control. This ONR-funded MURI project studies autonomous vehicle system designs that guarantee that human decision makers embedded in either fully or partially automated systems can execute time-sensitive missions with variability in the environment and their cognitive abilities. IEEE Xplore Top 100 Download, June 2010. Robust 3D natural gesture recognition for wearable Android platforms. As the first employee and part of the founding team, I served various functions at Atheer. My primary responsibilities were developing 3D sensing and augmented reality algorithms for Atheer's wearable 3D platform. My team developed a real-time 3D natural gesture recognition algorithm on ARM-based Android platforms that was regarded as the best mobile gesture recognition solution. Our proprietary augmented reality algorithms provided industry-leading low latency and accurate 3D localization performance. In 2014, I also served as Acting COO overseeing the overall operation of the company. Slate: Atheer Labs are the most impressive in terms of presenting elegant solutions ... and make you feel like you're in Minority Report. Business Insider: Forget Google Glass -- These smart glasses put a virtual tablet in front of your face. WSJ: Atheer looks to add human touch to futuristic wearable computers at All Things D 2014. We introduce a new approach to reconstruct accurate camera geometry and 3-D models for urban structures in a holistic fashion without relying on extraction of matching of traditional local features such as points and edges. Instead, the new method relies on a new set of semi-grlobal or global features called transform invariant low-rank texture (TILT), which are ubiquitous in urban scenes. Modern high-dimensional optimization techniques enable us to accurately and robustly recover precise and consistent camera calibration and scene geometry from a single or multiple images of the scene. This paper presents a novel extension of CS to the phase retrieval problem, where intensity measurements of a linear system are used to recover a complex sparse signal. We propose a novel solution using a lifting technique -- CPRL, which relaxes the NP-hard problem to a nonsmooth semidefinite program. Our analysis shows that CPRL inherits many desirable properties from CS, such as guarantees for exact recovery. We further provide scalable numerical solvers to accelerate its implementation. We provide a comprehensive review of five representative approaches, namely, Gradient Projection, Homotopy, Iterative Shrinkage-Thresholding, Proximal Gradient, and Augmented Lagrangian Methods. The work is intended to fill in a gap in the existing literature to systematically benchmark the performance of these algorithms using a consistent experimental setting. In particular, the paper will focus on a recently proposed face recognition algorithm, where a sparse representation framework has been used to recover human identities from facial images that may be affected by illumination, occlusion, and facial disguise. Motivated by an emerging theory of robust low-rank matrix representation, we introduce a novel solution for online rigid-body motion registration. 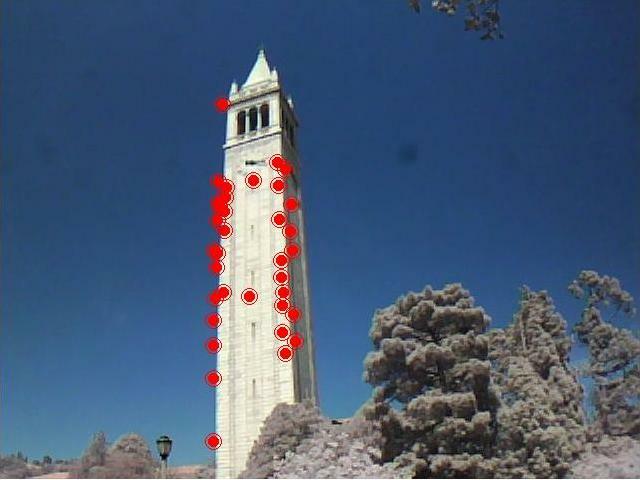 The goal is to develop algorithmic techniques that enable a robust, real-time motion registration solution suitable for low-cost, portable 3-D camera devices. The accuracy of the solution is validated through extensive simulation and a real-world experiment, while the system enjoys one to two orders of magnitude speed-up compared to well-established RANSAC solutions. We propose a novel method to select informative object features using a more efficient algorithm called Sparse PCA. First, we show that using a large-scale multiple-view object database, informative features can be reliably identified from a high-dimensional visual dictionary by applying Sparse PCA on the histograms of each object category. 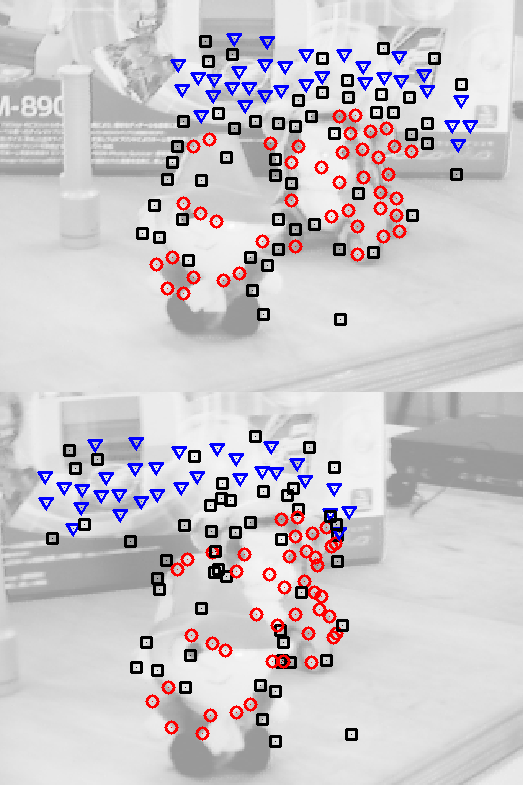 Our experiment shows that the new algorithm improves recognition accuracy compared to the traditional BoW methods and SfM methods. Second, we present a new solution to Sparse PCA as a semidefinite programming problem using the Augmented Lagrangian Method. 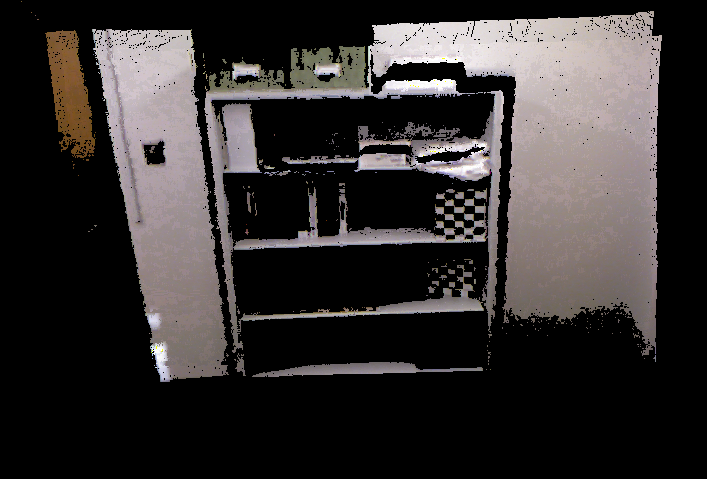 Harnessing the multiple-view information from a wireless camera sensor network to improve the recognition of objects or actions. Berkeley Multiview Wireless (BMW) database now available! We propose a distributed recognition method to classify human actions using a low-bandwidth wearable motion sensor network. 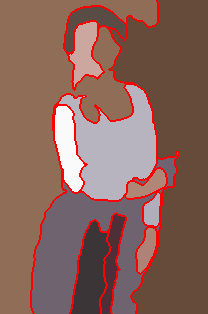 Given a set of pre-segmented motion sequences as training examples, the algorithm simultaneously segments and classifies human actions, and it also rejects outlying actions that are not in the training set. The classification is distributedly operated on individual sensor nodes and a base station computer. Using up to eight body sensors, the algorithm achieves state-of-the-art 98.8% accuracy on a set of 12 action categories. We further demonstrate that the recognition precision only decreases gracefully using smaller subsets of sensors, which validates the robustness of the distributed framework. Wearable Action Recognition Database (WARD) ver 1.0 available for download. 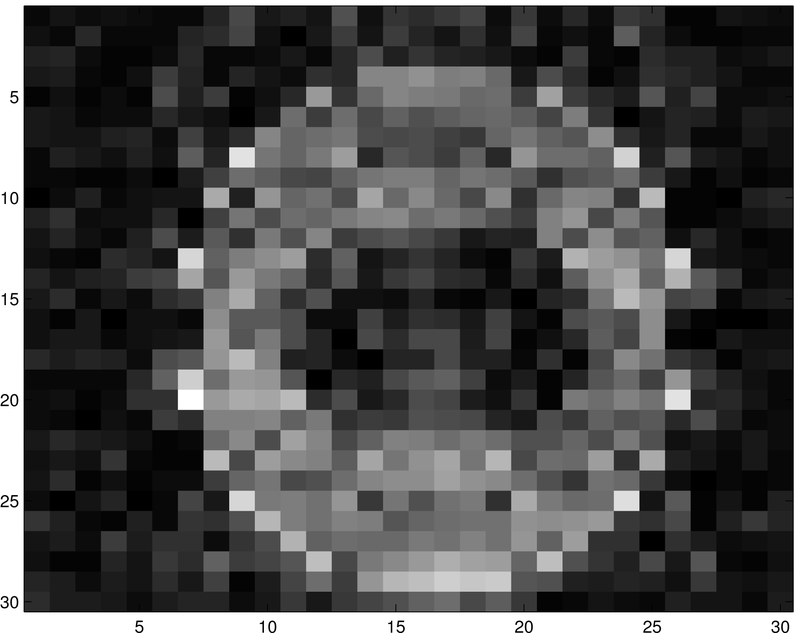 We cast natural-image segmentation as a problem of clustering texure features as multivariate mixed data. 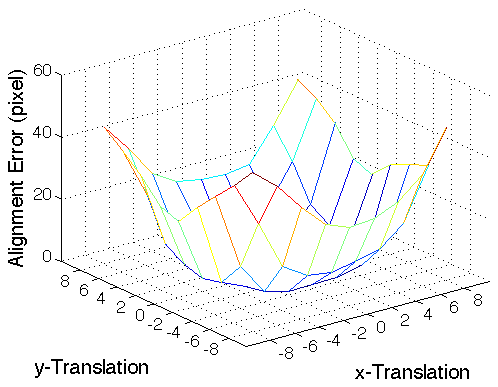 We model the distribution of the texture features using a mixture of Gaussian distributions. Unlike most existing clustering methods, we allow the mixture components to be degenerate or nearly-degenerate. We contend that this assumption is particularly important for mid-level image segmentation, where degeneracy is typically introduced by using a common feature representation for different textures in an image. We show that such a mixture distribution can be effectively segmented by a simple agglomerative clustering algorithm derived from a lossy data compression approach. 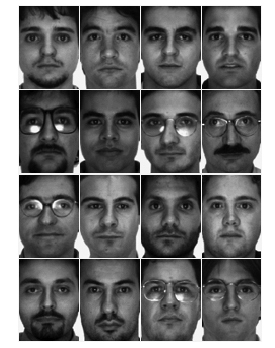 Formulating the problem of face recognition under the emerging theory of compressed sensing, we examine the role of feature selection/dimensionality reduction from the perspective of sparse representation. Our experiments show that if sparsity in the recognition problem is properly harnessed, the choice of features is no longer critical. What is critical is whether the number of features is sufficient and whether the sparse representation is correctly found. We study segmentation of multiple rigidbody motions in a 3-D dynamic scene under perspective camera projection. 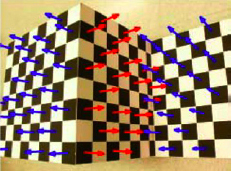 Based on the well-known epipolar and homography constraints between two views, we propose a hybrid perspective constraint (HPC) to unify the representation of rigid-body and planar motions. Given a mixture of K hybrid perspective constraints, we propose an algebraic process to partition image correspondences to the individual 3-D motions, called Robust Algebraic Segmentation (RAS). 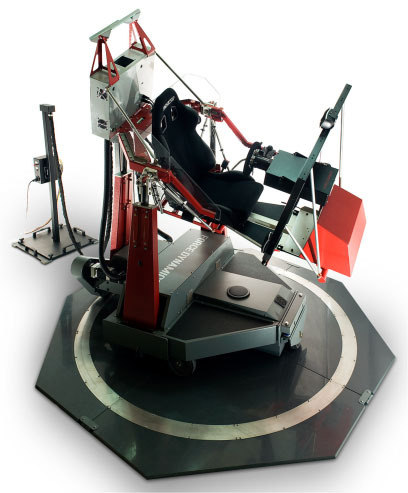 We conduct extensive simulations and real experiments to validate the performance of the new algorithm. The results demonstrate that RAS achieves notably higher accuracy than most existing robust motion segmentation methods, including random sample consensus (RANSAC) and its variations. The implementation of the algorithm is also two to three times faster than the existing methods.We will make the implementation of the algorithm and the benchmark scripts available on our website. An algebraic framework for modeling and segmenting mixed data using a union of subspaces, a.k.a. subspace arrangements. Yet the statistical implementation of the framework is robust to data noise and outliers. We investigated a unified framework to extract poses and structures of 2-D symmetric patterns from perspective images. The framework uniformly encompasses all three fundamental types of symmetry: Reflection, Rotation, and Translation, based on a systematic study of the homography groups in image induced by the symmetry groups in space. We claim the following principle: If a planar object admits rich enough symmetry, no 3-D geometric information is lost through perspective imaging. 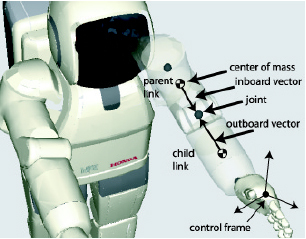 A unified robot motion interface and tele-communication protocols for controlling arms, bases, and androids. Copyright (c) Honda Research, Mountain View, CA. 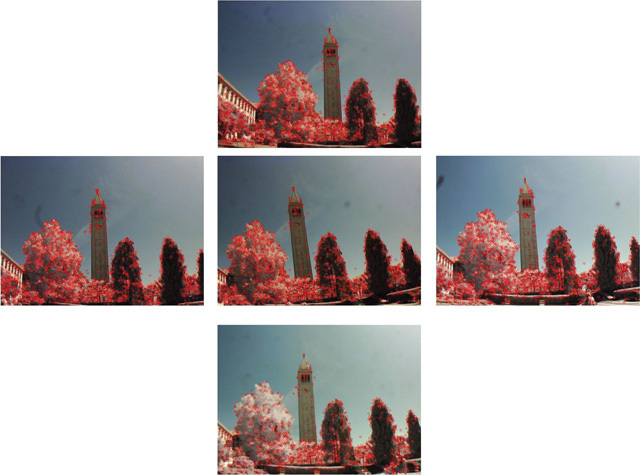 CVPR Tutorial, 2009: Sparse Representation and Its Applications in Computer Vision. Fall, 2006: CS294-6: Theoretical, Conceptual and Experimental Vision. I enjoy listening to musical CDs in my apartment from a pair of Paradigm Reference Studio 20 speakers biwired to an NAD C350 amp. Sometimes in a weekend, I will drive to St. Helena and Rutherford in Napa for a wine tasting.